Nu-Heat specialises in the integration of renewable energy heating systems, offering a complete design and supply service for heat pumps and solar thermal. As a Microgeneration Certification Scheme (MCS) accredited company, we know that the details matter when it comes to renewable energy sources for your home. That’s why we spend up to two full days designing each individual renewable heating system, even providing you with the MCS certificate required to apply for the Renewable Heat Incentive (RHI). A heat pump is a renewable, ‘green energy’, alternative to a boiler. They have the potential to reduce environmental impact and lower fuel bills. 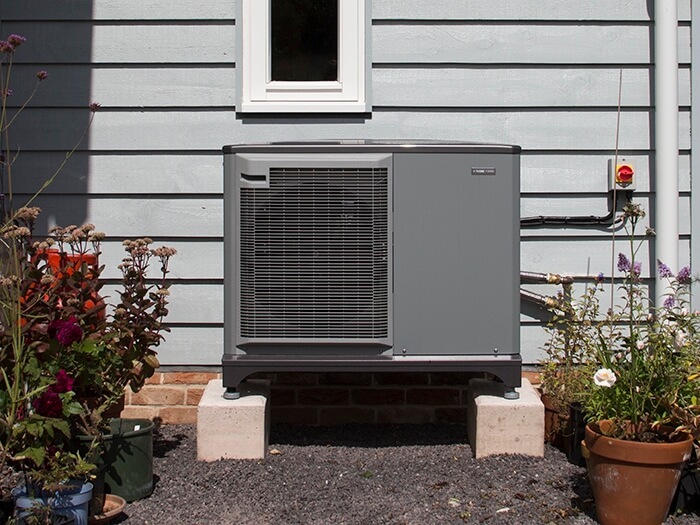 Heat pumps are best suited to well-insulated properties and plots without access to main gas. Many homeowners can also benefit from the RHI when installing a heat pump, helping to offset the cost of installation. A solar thermal system is another renewable energy option that can generate up to 60% of a home’s domestic hot water per year. It can be installed in any type of property and is also a renewable energy technology that qualifies for the RHI. Nu-Heat designs and supplies a complete, ready-to-install package comprising the solar hot water cylinder, solar panels (often called collectors), and ancillary components.